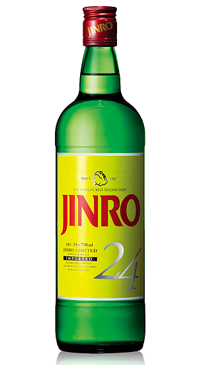 Jinro Soju is the world’s bestselling spirit and comes at a range of strengths. This is the 24% bottling. Soju is a Korean spirit that can be made from rice, grain or potatoes and is diluted before bottling.